A succession of Republican presidential contenders has melted under the media’s gaze, and now Mitt Romney is squarely in the unforgiving spotlight. We witness presently a perverse quadrennial apotheosis, wherein some Republican must ascend to a celestially fixed bulls-eye, to endure for a term an uninterrupted stream of spin and slander. Last week at a New Hampshire town hall, Mitt caught flak from a Chinese-American woman who complained that twenty years of Reagan’s “trickle down theory” (what is that?) has left her “tin can” empty. She scored points with victimhood circles by insisting that Romney no longer “put Asians down.” Blog site Angry Asian Man, omniscient in things potentially offending Asian-Americans, lauded this woman’s lecturing of the former governor. But there is nothing inherently racist about calling out the very real phenomenon of Chinese currency manipulation. Meanwhile, another prog blog acclaims the confrontational woman as a “tiger mom,” but what kind of tiger mom rattles a beggar’s cup of change? Her trickle down rhetoric only parrots progressive platitudes against the free market. The video exchange her cheerleaders posted cuts off Romney mid-sentence, but its here if you want to see just how formidable and commanding the candidate is. The tin can tiger mom encounter, telling as it is, is small beans compared to the coverage other Mitt moments get. There is the “corporations are people” that commentators like to milk. Of course, it will never deserve as much infamy as Obama’s contemptuous “cling to guns and religion” quote. Currently, the “I like to fire people” uproar is sucking up the precious oxygen that should otherwise have been going to journalist’s brains. Yahoo’s Holly Bailey has given us a sense of the media’s madness while simultaneously partaking in it. In covering a recent press conference, she gets to color Romney how she wants, insisting, “he seemed to will himself to keep smiling, perhaps knowing that even the hint of a frown could produce an image that he might regret.” Really? Her dramatic license aside, I didn’t know she had a press pass to inside his brain! Ultimately, the “fire people” moment is overinflated. The recent populist “fire your bank” campaign poignantly shows that Romney is far from alone in his desire to exercise his economic liberties. After all, who hasn’t wanted to dump their high-speed internet provider? 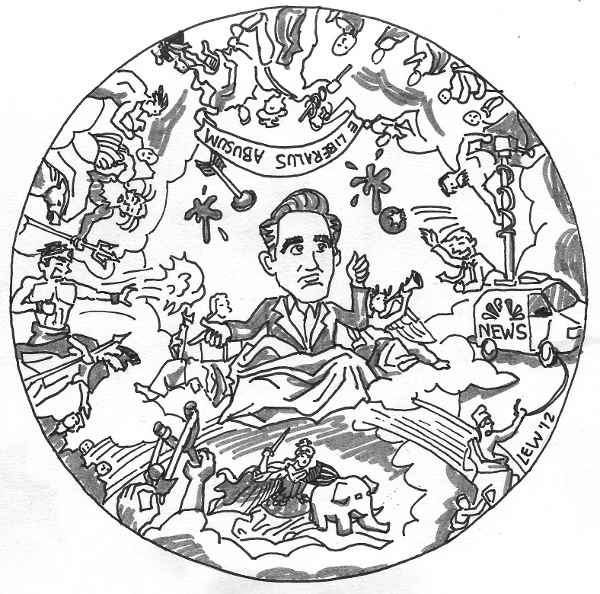 Unlike his fellow GOP contenders, Romney seems to be well-equipped to endure the media’s slings and arrows. He is scandal free, he remembers his lines, and he and his team demonstrate well-rounded discipline and competence. He might not light everyone’s fire, but he can certainly take the heat.